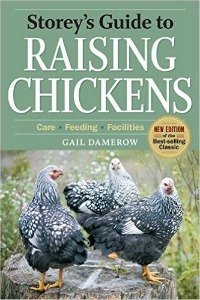 We know that backyard chickens have been talked about all over the news lately (both favorably and negatively). Homesteading and self-sufficiency is on the rise and for so many great reasons. With this rise comes a great supply of reading materials dedicated to we non-traditional farmers that live in non-traditional places. There are many great books out there, but I have a few that have become staples in my library. 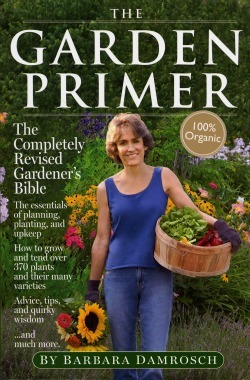 This book is like the bible of gardening. Author Barbara Damrosch gives you a mix of modern ideas and the old-fashioned ideas that still apply today. This book gives you amazing step-by-step instructions for every plant you can imagine. She also shows you how to maximize your harvest by using different spacing techniques. I think my favorite part of this book is that she describes some of the popular varieties of each vegetable so you’re not overwhelmed with all the options. 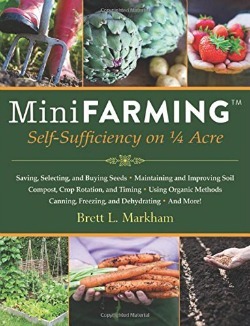 This book certainly covers growing produce, but author Brett Markham focuses a lot on the other stuff like improving soil, composting, buying and saving seeds and processing your bounty. 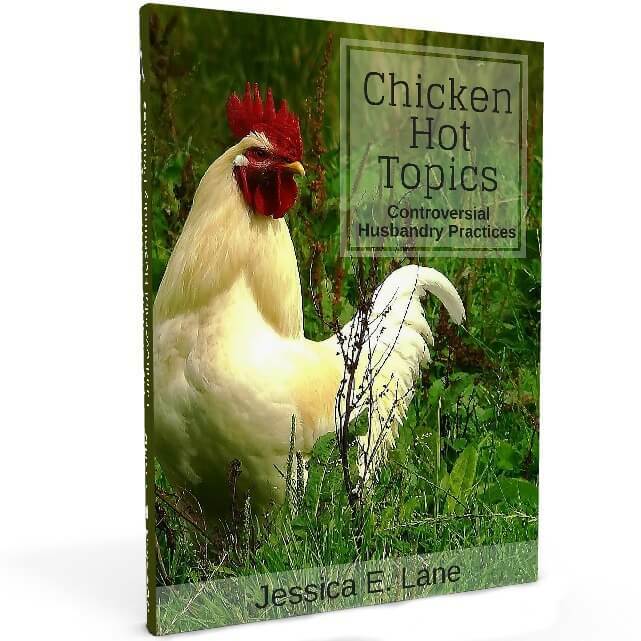 This book also touches on a few additional topics that might interest the backyard homesteader, such as raising poultry and selling excess produce. I love that they discuss organic options. Brett Markham has blown me away with this book. I hate to pick favorites, but if I had to, this one is a winner hands-down. Not only does it feature every vegetable, fruit and seed that could go in the ground in my area, it makes growing a garden idiot-proof. Super fabulous bonus: The end of each section has several processing recipes for each food mentioned. Lemon-garlic asparagus anyone? Gail Damerow wows me with this book (and another further down the list) by giving me just enough information so I feel informed, but not enough to make me feel swamped. All the basics about keeping livestock are in this book. Check out some of my other favorites for more specific information. Storey’s guides are the bibles of livestock care and management. They are updated regularly so you are always kept up to date with any changes their might be in the animal world. Whether its choosing a breed, building housing, or keeping your animal healthy, these books have you covered. Is it completely shameless of me to add my own book to the list? It’s important to me to do the absolute best by my chickens. I don’t take advice at face value. I like facts. I have saved you the trouble of weeding through research documents and I’ve done the legwork for you. I’m not sure I agree completely with the “five-year” aspect, but Amelia Barrows does cover some great ideas for becoming more self-sufficient. She covers a little bit of everything and might inspire you to start projects you hadn’t considered before. Each year is broken down into a plan that accounts for the number people in your home. It’s a unique way for a homesteading book to be written. 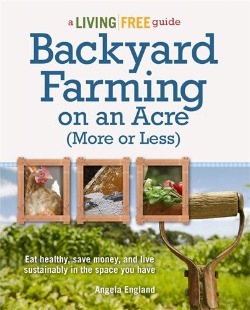 As far as a well rounded book, this book covers the most topics for the backyard homesteader. It covers not only growing produce, but small livestock and poultry care, drying herbs, making beers and wines, milling grains and more. I like that it talked about foraging. Honestly, that hadn’t crossed my mind until reading this book. Of course this one had to make my list of must-have books. I was friends with the author for almost a year before I made the connection that she wrote one of my favorite homesteading books. Angela England covers all aspects of homesteading and gives you ideas you can implement no matter what size lot you live on. So grab your library card, head to Books-a-Million, pull out the credit card and hop on Amazon. These are some books that you’ll be glad to have in your arsenal. The internet may have loads of information, but on a snowy day you want to curl up with a good book and imagine spring. Happy reading! Homegrown & Handmade: Are you a homesteader? This is a great list and I have already worked through several. Thanks! I have several of those, but see a couple I need to add to my Christmas list! Thanks for these book suggestions! If you haven’t already read it, “Making it: Radical Home Ec” by Kelly Coyne is also really good. I’ll have to add that one to my winter reading list. 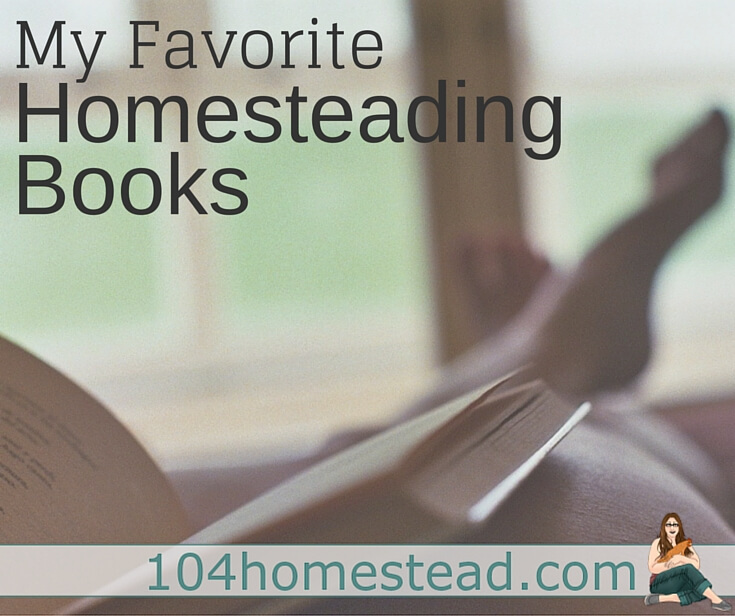 I’m not a Homesteader but The Backyard Homestead, that sounds actually like a book that I would enjoy too. It’s a good one that is jam-packed with good stuff. I have several of these, but a few I have never seen. I usually have to buy from Amazon, and they have never popped up. I also like Eliot Coleman’s Four Season Harvest which got me into winter gardening. Four Season Harvest is a great one. I think I’ve got it somewhere on my book shelf.